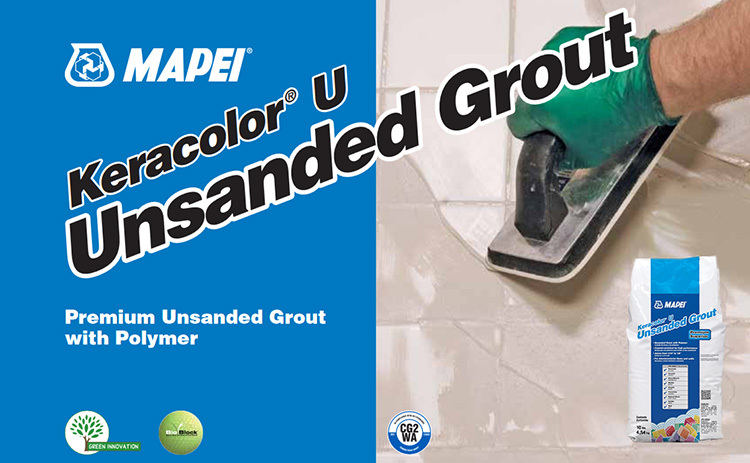 Click the button below to add the Mapei Keracolor U (Non Sanded) Grout - 10lb to your wish list. We stock all Mapei grout colors! Keracolor U Unsanded Grout is a premium-grade, preblended, polymermodified unsanded Portland-cement tile grout that requires only the addition of water for mixing. It will grout joints from 1/16" to 1/8" (1,5 to 3 mm). If you need to see the Mapei grout color chart see the links below. we did manage to get the color back...almost. The guy we had do this might have worked it too much and/or it was thinned too much. ?? ?